Kolo Kai Farm grows ginger, turmeric and Okinawan purple sweet potatoes. I can finally relate to the words shock and awe. Two years ago yesterday, Dan and I spent our first whole day on Kauai. We were infatuated from the moment our feet hit the ground but slowly, as the week passed, we fell in love with the island and decided we wanted to die here. Well, live, really live, first! Since Dan's last week at Papaya's ends this Thursday, I told him I would miss all the great produce he brings home. So, all week he has been bringing me goodies. This is a huge mountain apple. The flesh of a mountain apple is juicy and has a mild, sweet taste with hints of rose. At home we spent a good week deciding if we really wanted to move to Kauai. Did we really want to give up everything we had worked so hard for? Our family was close by and we had treasured friendships worn comfortable over time. Perfectly ripe Crenshaw melon, from the mainland. We don't grow melons very well on Hawaii. The fruit flies sting and ruin them. Once we decided, there was no looking back. Like a corvette, we accelerated quickly. In six short months we were living on Kauai, with our dogs. We knew no one, had no jobs and no idea what we were going to do. While at a chocolate farm getting pictures, I was given a gardenia. In the beginning we were on extended vacation, but after a month, we got fidgety. The first lesson I learned was that I am not a sedentary person even though I thought I’d like to be one. We signed up for an organic farming class, on a whim. Because our only plan was to look for open doors and go through them. I went to the farm to sign up for a CSA and check the place out. Dan came with me because he had nothing better to do. As the farmer described her class, her words tugged at my heart and I got emotional. I decided that was an open door and went through it. 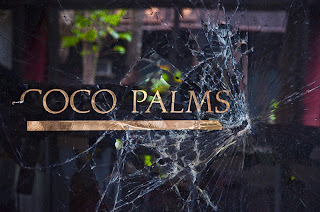 We took a tour of the Coco Palms so I could write about it for the travel agency. It's Graceland sad. 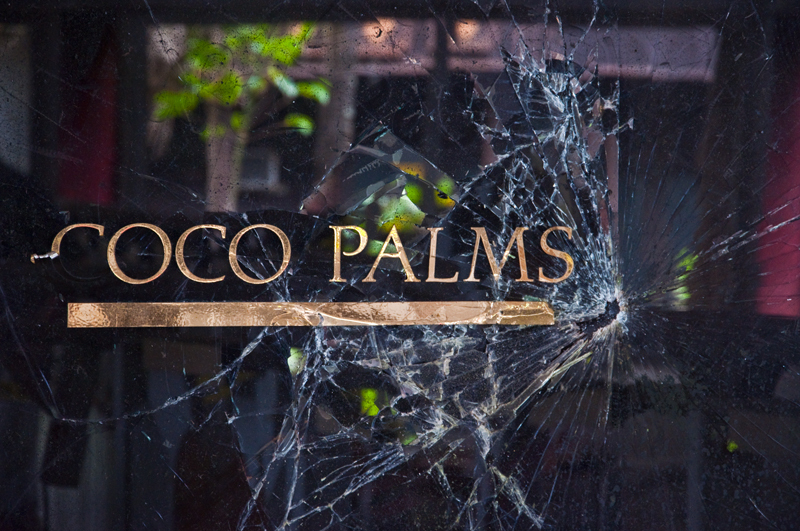 Not because the home of a legend has turned into Disneyland, but because the once legendary, trend-setting (they are the ones who started the evening tiki torch lightings) resort that Elvis stayed and filmed at, is falling to ruin. All the while I faithfully posted to my blog, a blog a friend suggested I start. When I started that, I had no idea that writing would become my passion. One that I would get paid for. I wrote the farm’s newsletters and press releases and made connections within the local papers. I Interviewed a taro farmer so we had to get some. Taro is the only ingredient in poi besides water. Baxter goes crazy for the stuff! One day, on another whim, I sent a letter to one of those connections. I described who I was and what I had been doing with my life. I suggested that since she wrote almost everything in the paper, I was available if she wanted help. She passed the email on and I got a phone call asking me if I wanted to do the food column! Unbelievable! I guess I have imagined doing this since I bought a book called Will Write for Food about 5 years ago. When I first started writing for the paper, they assigned me the restaurants. 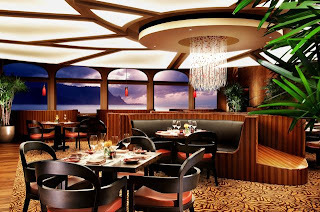 Once that stopped, the Kauai Grill in Princeville was one of the first ones I did. So, I get to eat at restaurants and not pay for it and I get paid to do it. Inconceivable! (Think: Princess Bride) Recently, I picked up another weekly column spotlighting local farmers. That makes a total of three weekly writing jobs, if you count the travel agency on Oahu. Right before Dan got his new job, his wide angle lens and camera bag/pack arrived in the mail. After he carefully packed his three lenses, miscellaneous stuff and attached the tripod to the back, we had to take it out for a test drive. Meanwhile, Dan has been reorganizing the produce department at the local health food store while taking “Yum Shots” for my articles. Just over a week ago, he got a phone call out of the blue asking him if he wanted to do photo tours. That’s where he is at right now, doing a hiking photo tour on the North shore. I won’t be surprised if I see something from today on his blog. 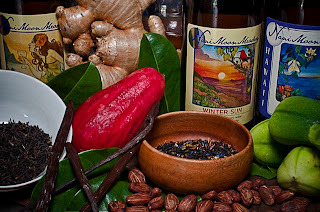 Nani Moon Mead, the only meadery on Hawaii and was my first non restaurant article. They use organic fruit exclusively from Kauai for meads like pineapple guava; starfruit and lilikoi; ginger spice and chocolate with vanilla beans, yum! Through this job we have met award-winning chef’s; dined in the finest restaurants on Kauai; sampled handcrafted food from local chocolate, mead and jam makers; hung out with one of the local DJ’s; talked story with farmers and attended an award ceremony put on by paper I write for. We have made new dear friends and have taken many beach and mountain excursions. My next goal is to take a guided hike of the Kalalau trail. Monkeypod Jam can only be found at three of the island's farmers markets. We have over ten, one or two every day. Monkeypod makes things like papaya coconut cream and coffee jam using coffee from Moloaa Bay on the North shore. I am shocked and awed at what has transpired in the past two years. From living very comfortably in Colorado to living meagerly in paradise. We are at the front steps of new careers that were never imagined. I wouldn’t have it any other way. Although we miss our friends and family dearly and even Colorado now that winter is over and things are warming up. I know tomatoes and peaches are right around the corner, things that don't grow well here. I love every single moment on this beautiful island with it's sincere and cooky people (think, Island of the Misfit Toys). They say if the island doesn’t like you, she’ll spit you out. I think she likes us. I know we love her! 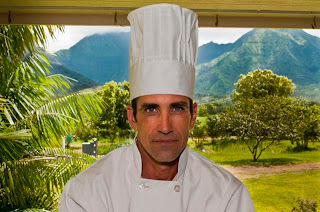 Koa is the only cacao farmer on Kauai who also makes chocolate. There is one other in the United States and that is on the Big Island. Tomorrow is our 12 year anniversary. We'll be working but it'll be fun. The paper bought us tickets so we could cover the Taste of Hawaii! It's a foodie festival at Smith's Tropical Botanical Gardens in Wailua with 50 chefs from around the state, 15 wine and beer vendors plus the mead lady and 10 bands. Pinch me!